Thanks to research coming out of the University of Colorado Cancer Center, and published in the medical journal Cancer Letters, those suffering from colon and rectal cancers might soon be able to ditch the cancer-causing ‘medicine’ called chemotherapy, and instead utilize a simple herbal extract with better success. 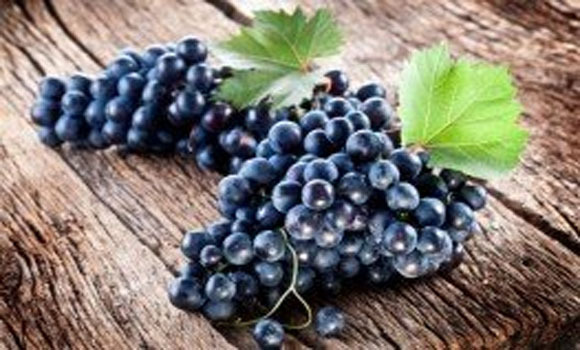 Grapeseed extract (GSE) has recently been proven to prohibit cancerous cell growth and to instigate cancer cell death. The bioactive compounds in grapeseed extract are what make chemotherapy seem like an archaic form of treatment, especially considering that chemo and radiation treatments can backfire and cause cancer to come back from remission 10 times stronger than when it was first detected. These treatments kill healthy cells, but GSE compounds including curcumin and resveratrol leave healthy cells in tact while demolishing cancerous ones. GSE is so effective that it treats stage IV cancers with astonishing success. One of the doctors involved with the study stated, “It required less than half the concentration of GSE to suppress cell growth and kill 50 percent of stage IV cells than it did to achieve similar results in the stage II cells.” They go on to explain that GSE targets multiple mutations in cells to eliminate them and stop their proliferation in the body. Just 150 to 250 mg per day of GSE can help to prevent colon and rectal cancers while also preventing numerous other ailments. A bio-active compound in GSE and popular supplement, resveratrol has been found to help with everything from diabetes to anti-aging; from heart disease to cancer. Chinese medicine practitioners have long known that resveratrol (found in Hu Zhang or Japanese Knotwood) can even help repair cracks in arterial linings. It has been used for more than 1500 years to treat numerous medical problems and to increase longevity. If you can’t get your hands on grapeseed extract or simply want another cancer-preventing option. look no further than curcumin supplementation. One study on curcumins (which is the compound found in the spice turmeric) from the University of Kansas’ Cancer Center and Medical Center, indicated that curcumin inhibits the growth of esophageal cancer cell lines, though how it works “is not well understood”.